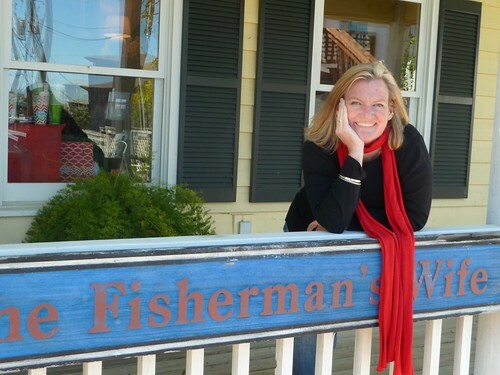 I am delighted to share that I have started working at The Fisherman's Wife in Wrightsville Beach, NC. My very good friend, Estelle Baker, opened the shop around twenty years ago. We (yes I'm already saying "we") specialize in "decorative accessories and distinctive gifts," in other words, "Little Luxuries." The shop has an extensive bridal registry and we do lovely stationery and invitations. I have been a customer of the Fisherman's Wife for a long time. It sits just across the street from the Intracoastal Waterway in a little yellow cottage. There are restaurants and marinas just across the street. We can even hear the drawbridge sounding when it is getting ready to go up! It is such a peaceful place to visit and shop. I have been looking for a part time job to supplement our income but there have not been many jobs available. Of course as soon as I took this job I was offered another job, but this one is much better! I will be working part time so if you are around Wilmington or Wrightsville Beach, stop in and say hi! If you can't make it to the beach, you can always say "Hi!" on Facebook! 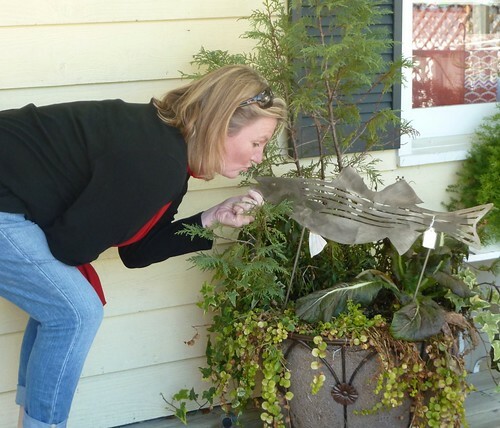 And just for good luck, I kissed the fish! Congrats! They are lucky to have you. Oooh fun! we'll have to come visit next time we head that way. Congratulations Amy! Sounds Tres Chic! Would love to come visit! LOVE this.....Great news!! They are lucky to have found you!!! I miss you but being a "Fishermans wife" sounds perfect!!! !